Some see stickers as a welcome way to add some personality to their Facebook comments, while others view them as a full-fledged epidemic. If you're in the later camp, there's already a new weapon for your arsenal: Unsticker.me. 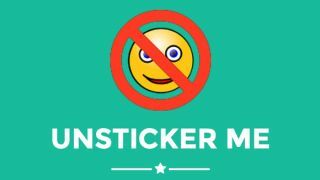 The browser extension for both Firefox and Chrome and will replace Facebook stickers you might normally see with the word "sticker" in brackets. Unsticker.me creator and Pinterest software engineering intern Rodney Folz tweeted that he hates both Facebook stickers and fun in general. "If you hate stickers and fun, download this addon," he wrote on its official page. Luckily (or not?) it at least leaves stickers intact in Facebook chats and messages.